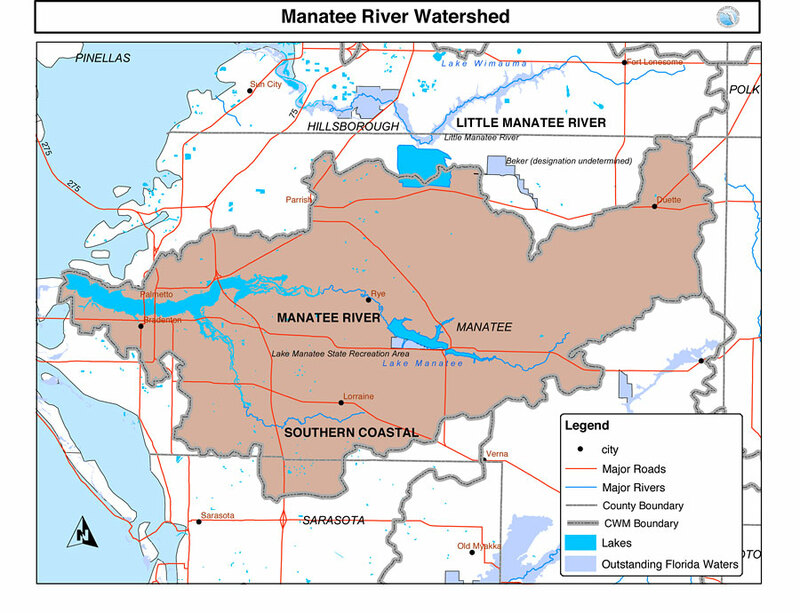 Description: This is a map from the Southwest Florida Watershed Management District or SWFWMD of the Manatee River watershed. This map shows the Comprehensive Watershed Management or CWM boundary shown by the thick gray line and outstanding Florida waters highlighted in lavender. It also shows surrounding cities, major roads, rivers and lakes and county boundaries.